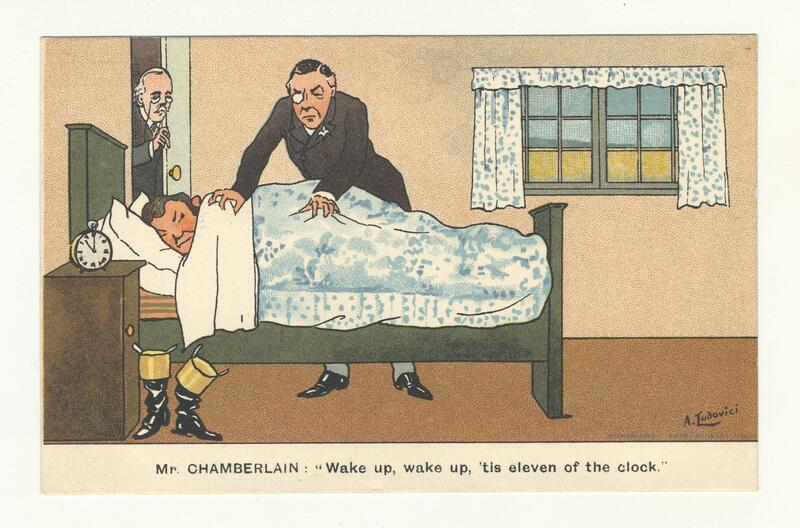 Postard showing Joseph Chamberlain trying to wake up someone, "Wake up, wake up, 'tis eleven of the clock." Political connotations unclear. A postcard by A. Ludovici, the artist and maverick right wing political theorist.